The Badshahi Mosque was built in 1673 by the Mughal Emperor Aurangzeb in Lahore, Pakistan. It is one of the city's best known landmarks, and a major tourist attraction epitomising the beauty and grandeur of the Mughal era. 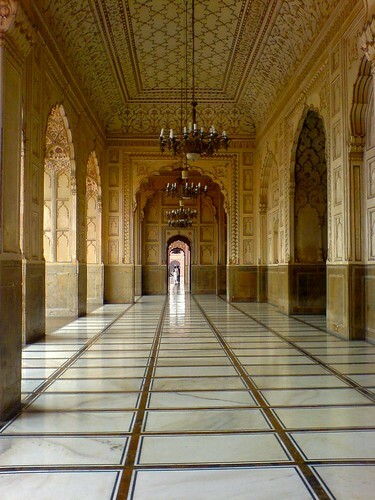 It is the second largest mosque in Pakistan, able to accomodate up to 55,000 people. More from my Pakistan Travel Blog.